Still, this is a rational strategy for any VC who can raise a large fund, because they earn management fees based on size of fund, regardless of whether LPs lose money (to wit: a $100M fund earns $20M in management fees for VCs). So are VCs good at investing in startups, or is it all just luck? In other words, multiple winners are a statistical artifact, aka luck. Sure, skill plays a role as to which players are more likely to win multiple times. But do you see how easy it is to take small samples of data and find spurious patterns confirming the “skill hypothesis”? In games of skill which have a big luck component — like poker and venture capital — long run results are about skill, but in the short run, luck dominates. Freakonomics guru, Steven Levitt, measured the amount of luck versus skill for poker, and concluded: “players identified a priori as being highly skilled achieved an average return on investment of over 30 percent.” The key here is identified a priori. 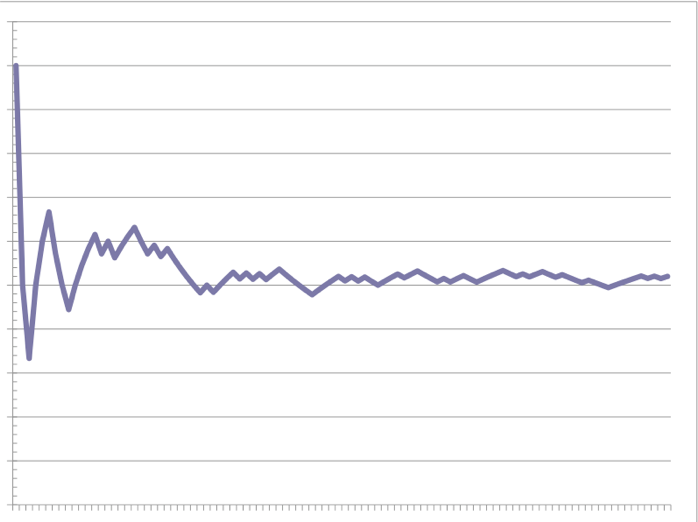 While the “long run” in poker is measured in months / years, in VC it’s measured in decades / lifetimes. While some VCs are much more skillful than others at achieving returns, their skill edge is NOT in picking winners. 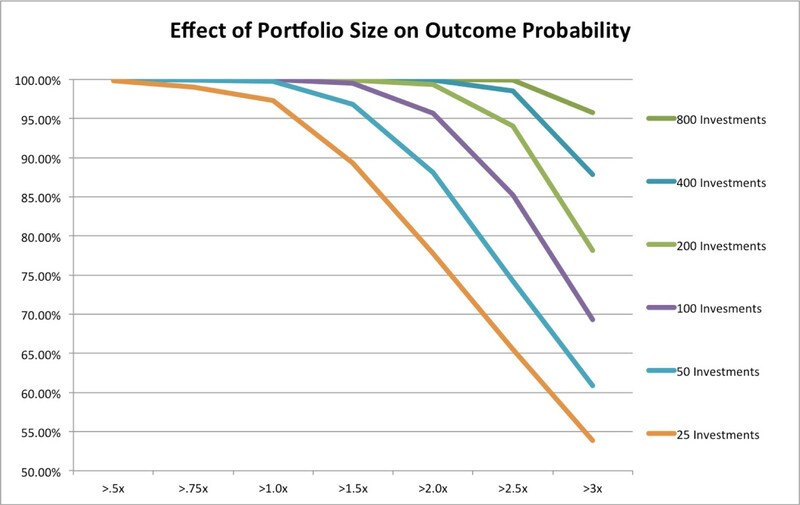 According to the analysis, in order to have an 85% certainty of achieving its expected value, a startup portfolio must include 300 or more deals. To put it another way, if you are a typical VC and thus invest in about 10 new deals per year, it will take you 30 years to get to the long run. Until then, we won’t know if your results are a function of your skill or you just got lucky. Chris Sacca has the distinction of putting together perhaps the best performing single fund of all time (see here). It includes Twitter, Uber and Stripe, to name a few monster hits. But it should be obvious by now that with every new unicorn, there will be several prescient-seeming investors who got in early. 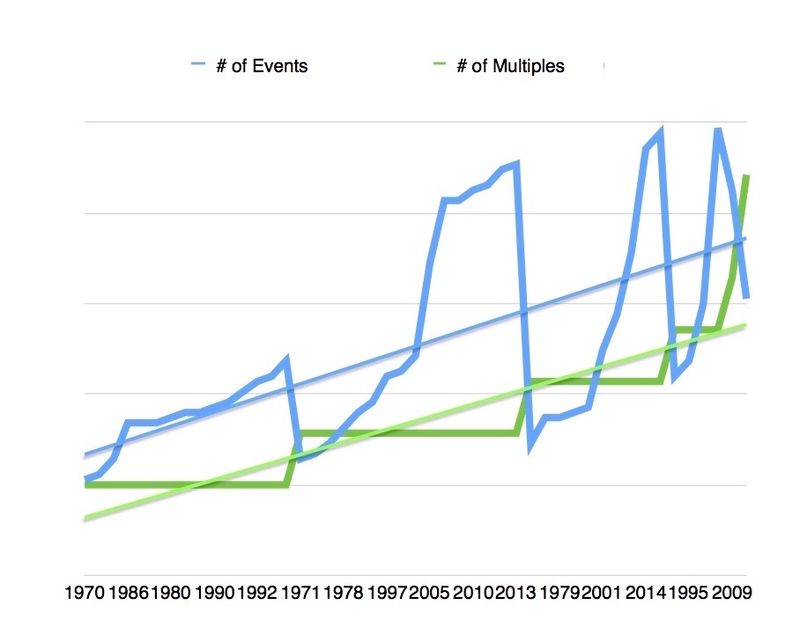 And once in a while there will be investors who hit multiples, just like in poker. Now you may be saying to yourself, “Yeah, but for an investor as well-known as Sacca to pick all these winners, it can’t be luck.” To which I would remind you that he wasn’t well-known when he picked them. He was just some unknown guy who was undoubtedly very skilled, and certainly very aggressive (see here and here). Plus, nobody can pick winners at the seed stage. I was at the WSOP in 2002 the year that Phil Ivey broke out into superstardom by winning 3 of the 35 events that year. Prior to that year, he was a great player, one of a handful of top young pros making waves. After that, he was seemingly invincible. Did his actual skill increase that much, or do people start treating him differently, making it easier for him to exploit his opponents’ weaknesses? I would argue that in both poker and VC there is a hot hand effect, which means that success breeds success. In VC, if you get lucky and pick a unicorn, then not only do you have the bankroll to make unlimited more picks (thus increasing your odds of more unicorns), you also get unlimited dealflow, and you don’t have to try very hard to get into any deal you want. If my hypothesis is correct, then there are two things worth noting. First, being able to exploit the mystique in the way Ivey and Sacca do is a form of skill in and of itself. Second, the skill differential amongst VCs is not in the picking of winners, it’s being able to maximize the return on your investment if you happen to get lucky. Every year there are about about 300,000 angel investors trying to pick the next unicorn. By the numbers, about 1 in 3,000 of them will do so. Which will give them a bankroll and a “track record” with which to start their own fund, and become the next Chris Sacca. But, we will never know if they are good or just lucky. As they say in poker, the long run is longer than you think….